The 2016 Chevrolet Sonic and the 2016 Chevrolet Spark prove that an affordable car can still offer high quality features and be fun to drive. Both have an MSRP that starts below $15,000. They each come equipped with lots of features and capabilities that will surprise and excite, as well. If you’re looking for a new car to drive in Glendale Heights or Bloomingdale, both of these models deserve your consideration. Find out how they compare, and check out each in person at Sunrise Chevrolet. MSRP starting at an affordable $12,660. EPA-estimated fuel economy of 30 mpg city and 41 mpg highway with the standard engine. Equipped with standard safety features like a rearview camera, OnStar telematics, and head curtain side-impact airbags. 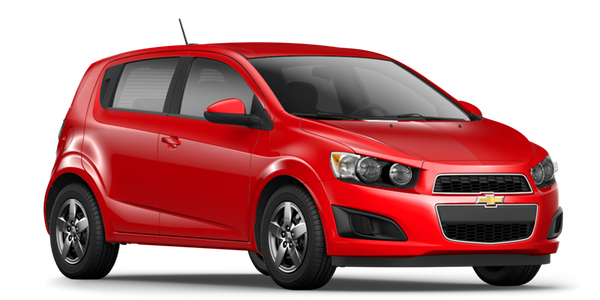 The 2016 Chevrolet Sonic is available with your choice of two engines. The standard engine is a 1.8L four-cylinder that puts out 138 hp and 125 lb-ft of torque. Fuel efficiency for that engine is rated at an EPA-estimated 24 mpg city and 35 mpg highway. Also available is a turbocharged 1.4L four-cylinder that increases power to 138 hp and 148 lb-ft of torque, which helps it achieve a 0-60 mph time of 8.4 seconds. Fuel efficiency is rated at an impressive 29 mpg city and 40 mpg highway, according to the EPA. 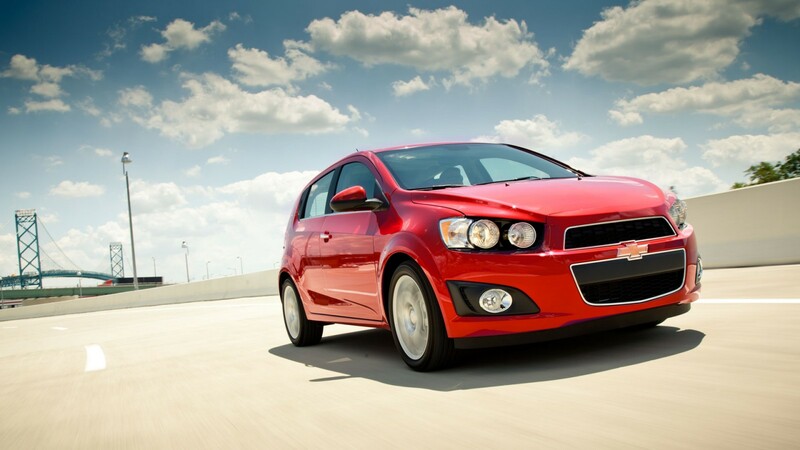 The 2016 Chevrolet Sonic has only one available engine. It’s a 1.4L four-cylinder that puts out 98 hp and 94 lb-ft of torque, which is a substantial increase over last year’s model. EPA Fuel efficiency is rated at a strong 30 mpg city and 41 mpg highway. A five-speed manual transmission comes standard, but a continuously variable transmission is also available. At the base trim, the 2016 Chevrolet Sonic is equipped with high-end features like automatic headlights, remote keyless entry, Bluetooth connectivity, and OnStar. In addition to improving safety, OnStar also doubles as a 4G LTE Wi-Fi hotspot. Higher trim levels add features like a seven-inch Chevy MyLInk touchscreen, satellite radio, simulated leather upholstery, and a rear spoiler. 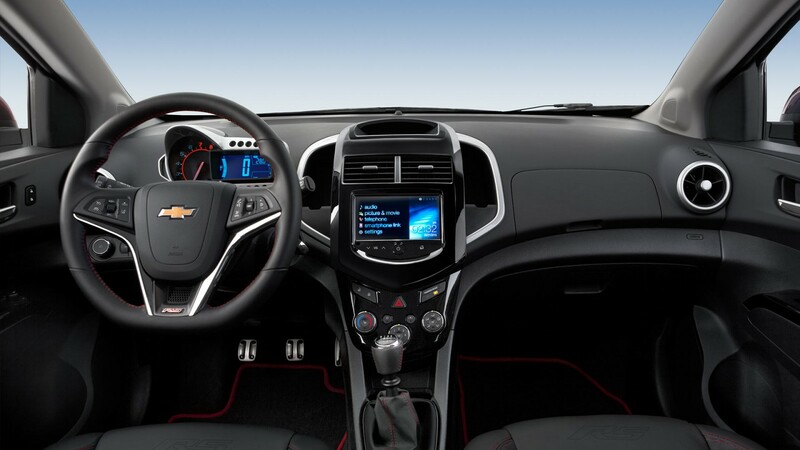 The 2016 Chevrolet Spark is equipped standard with a tilt-adjustable steering wheel, the OnStar system, solar-absorbing glass, a rear spoiler, and a stereo that has a USB port and auxiliary jack. Higher in the trim ladder, you will also find cruise control, satellite radio, remote keyless entry, and available advanced safety features. 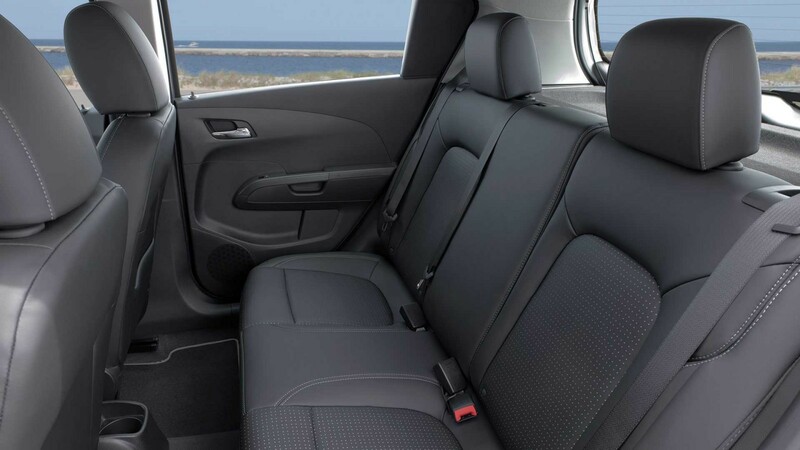 The 2016 Chevrolet Sonic has seating for five full-sized adults. The cabin offers 90.3 cubic feet of space for passengers, and plenty of head, leg, and shoulder room in all positions. The trunk can hold 14.9 cubic feet of stuff in sedan configurations, which is a large number for this segment. The hatchback offers 19.0 cubic feet of dedicated space and 47.7 cubic feet overall, which are also very strong numbers. The 2016 Chevrolet Spark has seating for four adults and a cabin that measures 83.0 cubic feet. The cargo area holds 11.1 cubic feet of space with the rear seat up and 27.2 cubic feet with the rear seat down. Both of these cars have a lot to offer, but there are qualities that make each model distinct. 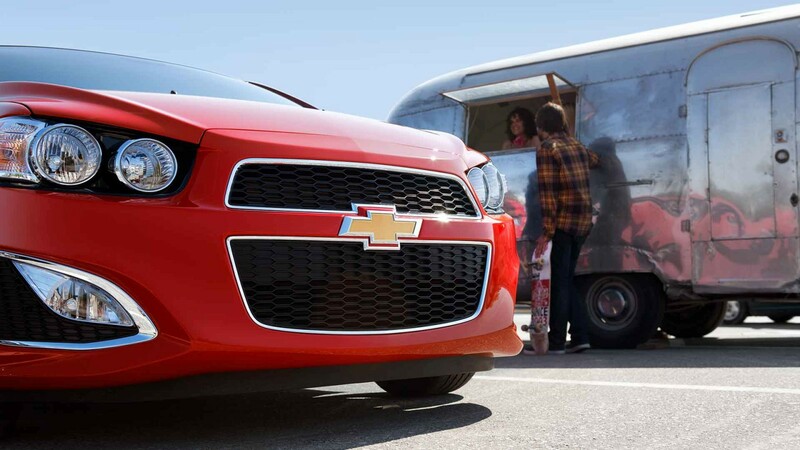 The 2016 Chevrolet Sonic costs a little more but gives you more power, more room, and a longer list of features. If you’re looking for a small car that doesn’t feel small, this is a strong choice. 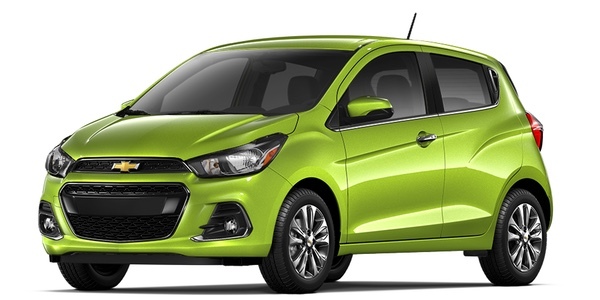 The 2016, Chevrolet Spark, by contrast, is smaller, offers less power, and has a more limited number of features. The trade off is that it gets better gas mileage and costs thousands of dollars less. If you are looking to stretch your car-buying budget and rarely travel with people in the back seat, the Spark is one of the best values on the market right now. Still trying to make up your mind? Why not plan a trip from Bloomingdale to visit Sunrise Chevrolet and go for a tour and test drive of both models? We are conveniently located at 414 North Avenue in Glendale Heights, IL, which is just 10 minutes away and easy to reach off of Glen Ellyn Road. Count on our professional staff to answer all your questions and help you find the very best option for you needs, wants, and budget. Please contact us with any questions.